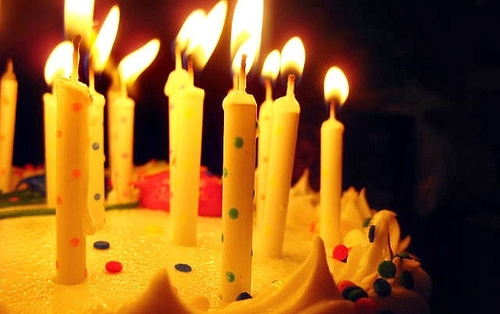 Happy Birthday WordPress & Thanks for All the Work! Seven years ago today, WordPress was turned loose on the world. The platform has come quite a way in that time, boasting an impressive 9.4 million downloads of WordPress 2.9. With WordPress 3.0 looming which will include multi-site support, it’s clear the “blogging” platform has become much much more. Built on the back of countless hours of volunteer work, WordPress is now a full CMS solution that can power even the most complicated sites. While I’ve been a vocal critic of Matt Mullenweg and Automattic’s leadership of the WordPress project, the fact remains that without their efforts, the platform wouldn’t be what it is today. Whatever your thoughts are on the politics surrounding WordPress, it would be foolish to deny the incredible progress that has been made under their guidance in just seven years. And, since I’ve personally benefited tremendously from all the tireless work that has gone into the project, I’d like to mark the date by congratulating and thanking everyone that has contributed in any form to the WordPress platform. WordPress truly has revolutionized the way content is published online and I’m excited to see what the next seven years bring. So, uh, Slap upside the head with one hand while patting them on the back with the other? James, that’s not really my intention. A LOT of people have put a ton of hard work into WordPress and they deserve some credit. Even though I have major disagreements with the actions of Matt & a few others, they still have created the platform I use for every single site I build. I’m just recognizing that fact. Don’t worry, I didn’t get bought off with a beer or brainwashed by the apparently very persuasive Jane Wells. There will still be plenty of criticism coming down the pipe.